This beautiful A.P.C. 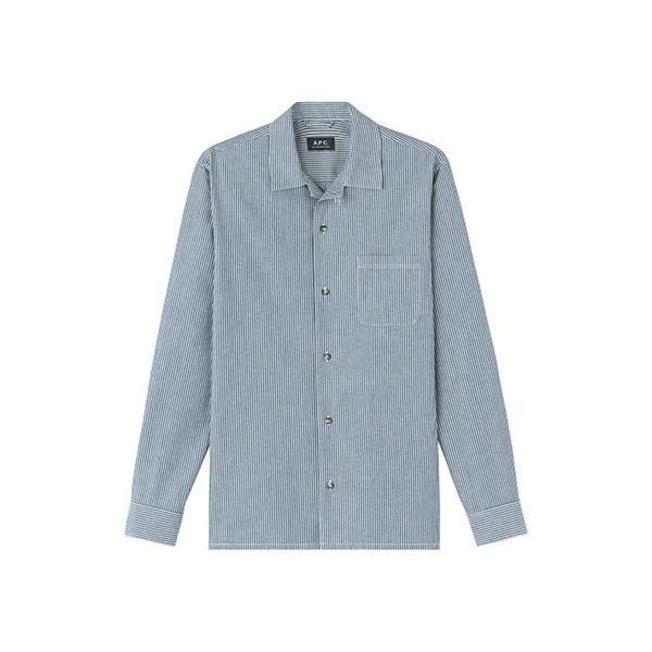 overshirt is made of Japanese cotton. Straight cut. Classic nautical collar. Half-moon neck yoke. Hang loop at back of neck. Button closure. Six buttons.